If one definition of insanity is doing the same thing over and over again and expecting different results, then many social media managers must be crazy. 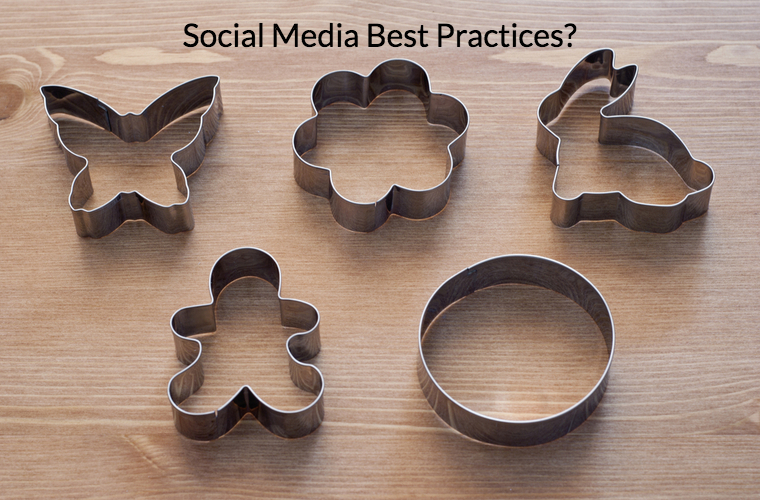 Are you practicing social media with the same cookie cutter tactics that have been used since Mark Zuckerberg moved into his Harvard dorm room? Despite seeing no measurable gains or attributable success from their social media campaigns, many social media managers keep running them in the same way. While in some cases the cause may be laziness, in most instances I suspect it’s just ignorance of any other way, or blind faith in “best practices” that have no basis in verified data. OK, I’ll be a little more helpful than that. Before you can start investing your time in strategies and tactics that do actually produce results, you need to stop wasting time on those that don’t. So here are six that you can halt immediately. Way too many brand social media accounts have links to their own content as most or even all of their posts. Now, you absolutely should not be shy about sharing links to your own content. You created it, you’re justifiably proud of it (I hope), and your followers ought to be people who are interested in it. But if your social accounts are mostly, or (yikes!) all links to your own content, your followers will lose interest, and may even begin to unfollow you. No one (intentionally) signs up for advertising. Balance your owned-content links with posts of general interest and helpfulness to your audience, including shares of content from other good, non-competitive resources. Your goal should be for people to think of your social account as helpful, not just promotional. Mix in posts that don’t link out anywhere, but are useful and helpful all by themselves. For example, you could post short tips, or useful insights. Or get a conversation started relevant to your business and your audience. That last tip is especially important for Facebook, where the news feed algorithm now strongly favors posts more likely to create “meaningful interactions” among your followers. There’s the windup and…the pitch! Sending an automated pitch message or email immediately after someone follows you comes off as cold, impersonal, and makes the follower feel like she or he is nothing but a prospect to you. What would you think of a new neighbor you invited over to a dinner party if as soon as he came through the door he started handing out his business cards to all your guests. What are your guests likely to think of the neighbor? That’s exactly how most people feel when they get a pitch message from you immediately after they’ve followed you. 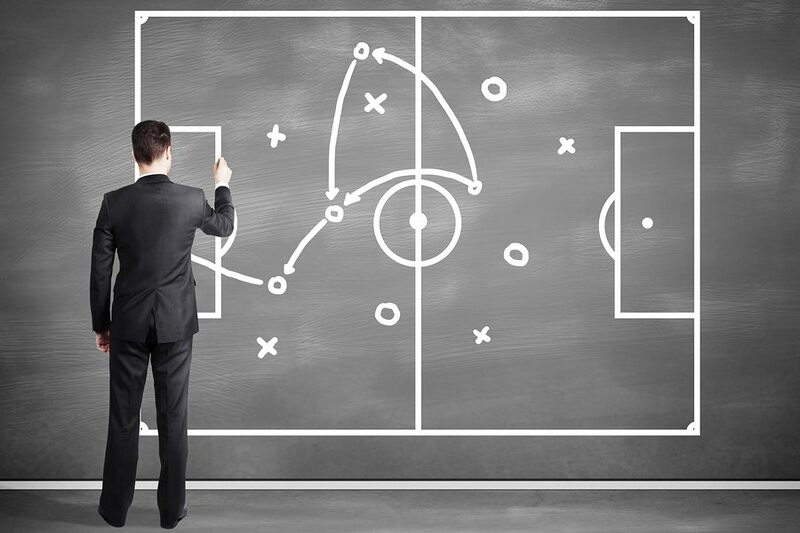 Use social for what it does best: building relationships, not direct selling. Put newer followers on a list to get real engagement from you before you even think of sending a direct message. Go through this list and like some posts each day. Better yet, add meaningful comments where you can. Your goal should be to turn cold followers into (potentially) warm prospects, so that when it does come time to try a more direct pitch, you don’t come across as a rude stranger. An all-too-common practice, especially on Twitter and Instagram, is mass following huge numbers of accounts. Accounts that do this are easy to spot. They typically have an almost equal ratio of followers-to-following, and/or despite having tens or hundreds of thousands of followers, minimal engagement-per-post. What’s wrong with doing this tactic (since it obviously “works”)? Social media users are more wary theses days of following fake- or low-value-appearing accounts. Many are probably savvy that a near-equal ratio of followers-to-following is a tip off that the account didn’t follow them because of genuine interest. Your feed will be virtually useless to you. Because you mass-followed people with little-to-no regard for their actual value, your feed will be full of junk, or at least a lot of posts that mean little to you. I suspect most people who mass follow spend little time in their feeds, which is another reason they aren’t worth following. In that post I provide methods that not only help you grow your following, but ensure it will be a valuable following, one that will help build your business and reputation. 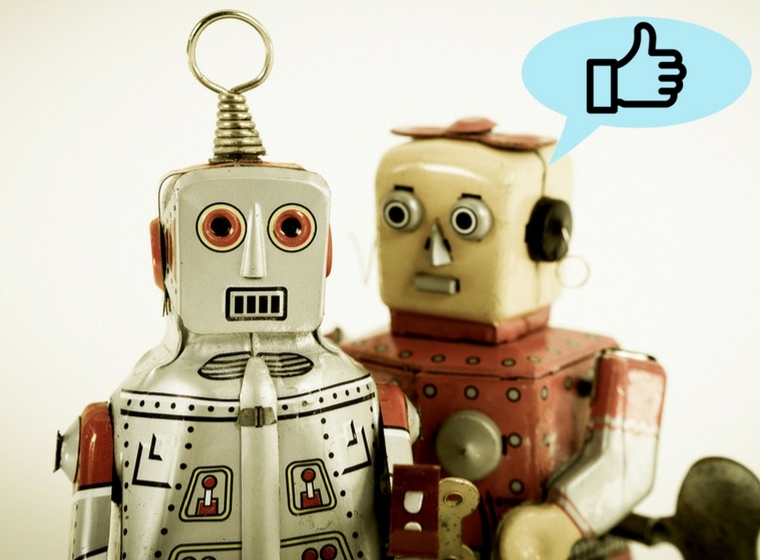 Auto-engagement bots are programs that automatically like or reshare posts of accounts you follow. Similar to the auto-following tactic described above, the aim here is to fake interest in order to raise your visibility and esteem with your followers, and in hopes of getting engagement back from them. As with auto-followers, accounts using auto-engagement bots are not hard to spot. I have one guy who follows me on Instagram whose account likes my photos within seconds after I post them, no matter when. I can post at 3 in the afternoon or 3 in the morning, and boom! there’s that like. I seriously doubt he’s sitting up 24/7 just waiting for my next vacation photo. As mentioned above, it’s easily detectable. As social media users become more savvy to and wary of such tricks, they’ll spot them more frequently, thus lowering the credibility and reputation of your brand. It ruins your own feed. Many social networks use engagement signals as part of the algorithm that determines what you see in your feed. If you engage with everything, the algo has nothing to go on. You miss the opportunities that come from actually looking at the posts in your feed and participating in valuable conversations that actually help build your influence and opportunities. Engage for real. Yes, this takes time. It means you have to be in your feed regularly, taking the time to read interesting posts, liking and sharing those that are truly worthwhile, and commenting where you can add something useful. If you find it hard to find or justify that time, ask yourself why you are on social media in the first place, and what you hope to gain from it. If the primary benefit is the reputation, influence, and relationships you’ll get, do you really think engagement-botting will gain you those? Craft ways you can be more efficient at finding posts worth engaging. On Twitter, build lists of the most valuable people you follow and prioritize that feed for engagement. Let me say immediately that there is nothing wrong with wanting to post at times when the most people following you are most likely to be online (and thus more likely to see your post). The problem with “best times to posts” studies is simple: they are based on averages. That is, they typically look at a large number of users and then conclude that the hour in which the largest number of them are active on the network is the ideal time for all users. Now, of course, only “above average” people would follow you, but that’s not what I mean here! My point is that there is no guarantee that an average figured across a large number of diverse users matches your particular audience. The results of these studies typically fall into a classic bell curve. The peak of the curve is the hours when the largest number of people in the sample group are on the network at the same time. 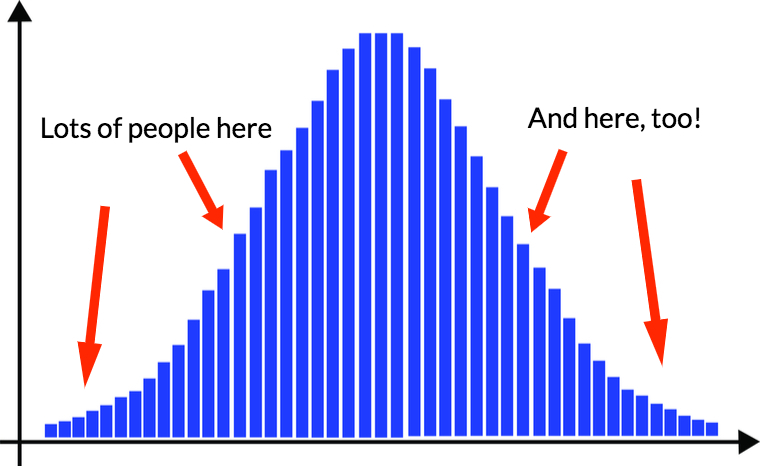 However, there are still a lot of people in both the head and tail of that curve, and it’s quite possible that your audience’s peak times occur somewhere in those regions. Since the study wasn’t conducted using your unique audience, you can’t be sure that the best times recommended are really your best times. Check if your social media platforms or tools show when your audience is online. Facebook Insights shows this for Pages. Followerwonk and other tools show most active hours for your Twitter followers. Many social media posting and scheduling tools will show stats for what days of the week and/or hours your followers are most active. Run your own tests. Warning: getting accurate insights this way is labor intensive! Schedule posts on a network for different times and on different days of the week. Do this for a while, and you may begin to see patterns of when your posts get more engagement. Finally, the following is just my theory, and I haven’t tested it, but it makes sense to me. Because more and more networks have feeds controlled by algorithms that decide which posts get seen when, it may not matter so much when you post (at least for time of day). While it’s still true (mostly) on Twitter that a tweet goes out to your entire following at the time you post it, and quickly loses visibility after that (unless it gets significant engagement), on many other networks, your post is only seeded out to a small subset of your following at the time it is posted. Then the algorithm begins to decide whether or not it has value to other people in your network, and trickles it out to them over time. If I’m right about this theory, then my recommendation would be to post on those networks during the earliest part of the day when more of your followers begin to come online. (Again, you can easily see this for a Facebook page in Insights). That way the post has a better chance of picking up momentum (i.e., good initial engagement) that will get it shown to more people as the day goes forward. Many experienced content creators have learned how to optimize their content for SEO, but far fewer think about optimizing for social sharing. Posting on Mark Schaefer’s blog, Steve Rayson revealed data that showed in many verticals, social sharing has declined as the amount of available content has risen. 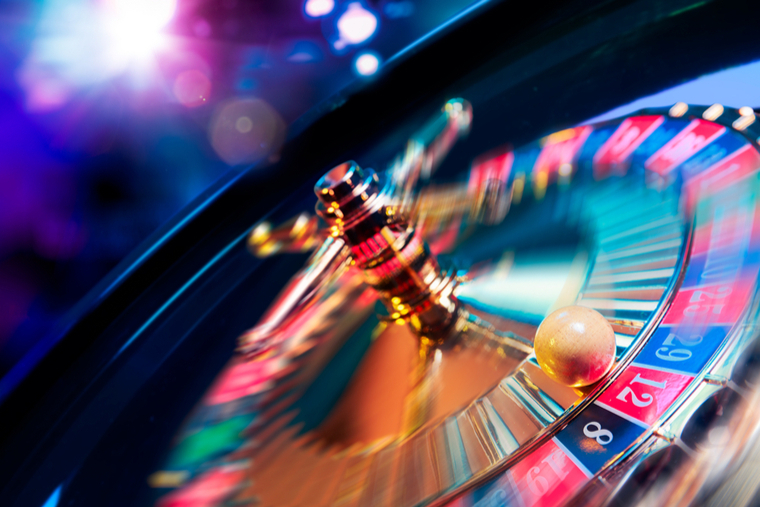 That means your content competes on a roulette wheel with far fewer winning slots (shares) than there used to be. The good news is that making your site content easy to share, more likely to be shared, and better-looking when it is shared is a lot easier than search engine optimizing the same content. Figure out on which networks your audience is most active and only show sharing buttons for those networks. Use the power of limited choice. Scientific studies show that too many options cause brain fatigue, and subjects are less likely to make any choice at all. Keep your sharing buttons to a minimum. I’d suggest three-to-four at the most. Place your social share buttons at the top of your content. That might seem counterintuitive. Won’t people most want to share something after they’ve read it? The hard truth is that most people share content without reading all of it. A study by social sharing button vendor AddThis showed that making social buttons prominent was the most important factor, but having them at the top makes them easiest to find for anyone ready to share. Use click-to-tweet pullouts, significant quotes from your post that users can tweet out with one click. There are plugins for most blogging software to help you create these. Use Open Graph tagging. Open Graph tags allow you to specify and control what shares of your content will look like, including the share text, the URL, and the shared image. OG tags are recognized by most major social networks. Without them, shares of your content might not be how you’d want them represented in social feeds.